When: Wednesday, Oct. 15, 2014 at 6:30 p.m.
Building a single website is tough in itself but building and maintaining hundreds of sites results in exponential maintenance. Luckily there are frontend tools to help. You’re probably already familiar with a few of them and may use them on a handful of projects. We’ll explore how to use frontend tools to make life easier regardless if you’re working on a single or hundreds of sites. Nick DeNardis is Director of Digital Communications at Wayne State University, where he leads the strategy, execution, and implementation of most all public facing digital communications for the university. His team is responsible for websites, social media, and digital signage around campus. They also are responsible for creation and maintenance of several university-wide tools including a content management system, events calendar, RSVP system, HTML email creator, form creator, and short URL system. 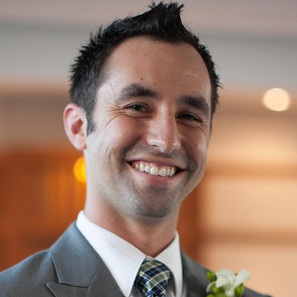 Nick has 10 years of experience optimizing university websites for a forward moving user experience. He is a nationally recognized speaker, blogger and scientist in discovering and analyzing Web behavior. Grand Circus is located in the Broderick Tower, and you enter from the Woodward-facing doors. Once inside, go to the end of the hall, and take the elevator to the fourth floor. Parking is available at the Detroit Opera House parking garage, located on Broadway. Parking is $10 (unless there’s a special event). There’s also limited street parking on Woodward. The Detroit Opera House parking garage is a short walk up Broadway and around the corner from the Grand Circus space. Here’s parking information from the Broderick Tower website (PDF). ← Recap: Live Debate: CSS Preprocessors, Useful Front-end Tools?